Lion Soft Inc. is a small information technology company. The company’s excel reporting and system/application monitoring technologies enable customers to drive operational efficiency, modernize their systems and optimize processes for smarter decisions and better service. Your satisfaction is our utmost priority. We will handle the project for you making sure that all your requirements are met. We work for you. Oracle Reports is a set of wonderful software, but you may think it is difficult to get pretty excel report by Oracle Reports. 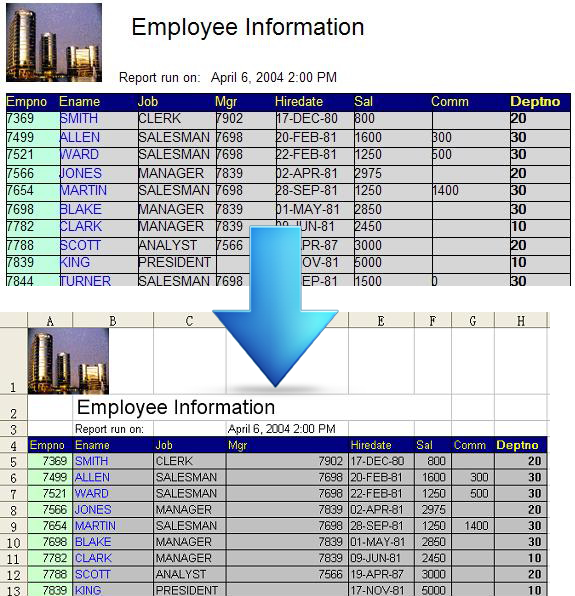 We offer Rep2excel Software to output rich format excel report from your oracle reports. Rep2excel can convert .html file generated by oracle report server (6i, 9i, 10g and 11g etc) to ms-excel format. RepExpert is Win32 GUI application that can convert oracle reports into excel. If is also a professional printing tool for Oracle Reports. 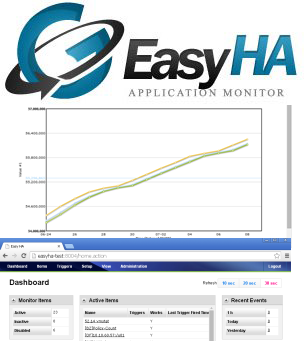 EasyHA monitors your applications/servers 24/7 to timely alert you to issues before they become emergencies. EasyHA can restart your application in case it is down. Microsoft Excel spreadsheets are ubiquitous in today’s business environment. GTD Excel Report Server is web-based reporting solution that helps small and mid-sized businesses create, manage, and deliver rich-format excel reports via the web or embedded in enterprise applications. To contact our sales office regarding product/pricing inquiries, please send email to sales@lv2000.com. You can also click the link below to send us message quickly. Feedback, questions and bug reports are welcome.